A partial building collapse at an old mill in Pawtucket, Rhode Island, left three people injured. 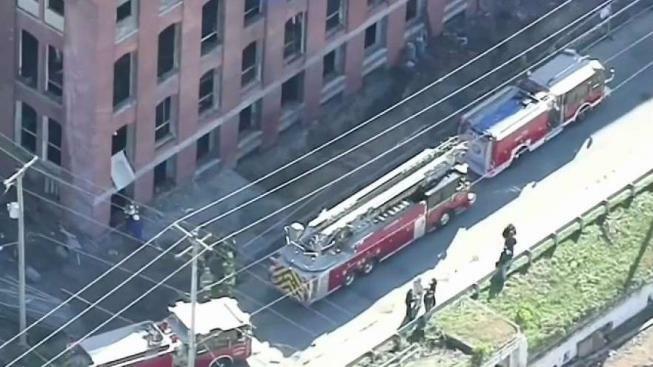 Three people were injured following a collapse inside an old mill building in Rhode Island Monday morning. The collapse happened around 9:30 a.m. inside an old mill in Pawtucket on Esten Avenue. One construction worker became trapped when the second floor of the building smashed into the first, sending all the debris into the basement. Two male workers were able to get out on their own. The third, a female worker, was trapped. She was conscious as firefighters removed her from the rubble. Everyone that was hurt was hospitalized. The building is home to the old School House Candy company. It's being gutted inside to make way for new housing.